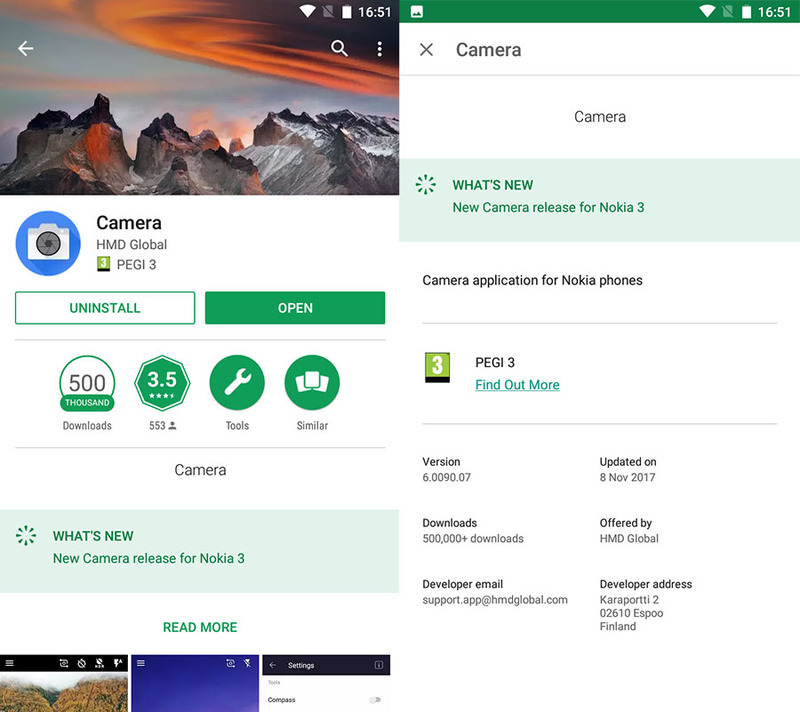 HMD Global has updated the main Camera application on the Nokia 3. Update is available through the Google Play store, and it is visible only to Nokia 3 users. The latest version of the app is 6.0090.07 and it brings some improvements, but I couldn’t find anything significant. The photo quality is still looking great, and the only thing that could be new is the new effect when taken photos are deleted (or moved to bin). Go check the Play store if the app didn’t update automatically. If you find anything new, do report it through the comment section.